We sell for less ...!!! DiscountPDH.com offers more than 5000 hours of Online PDH and CE Continuing Education Courses. Our online PDH and CE courses are designed for PE Professional Engineers and licensed Land Surveyors, Contractors, Architects, Geologists, Landscape Architects, Home and Building Inspectors and Interior Designers to take the courses and renew their license. We offer our Engineering Continuing education courses in variety of ways. Engineers and other professionals can take our online PDH or CE courses at any time. PE Engineers can also attend our live PDH seminars or Engineering PDH webinars for their Engineering continuing education. Our Engineering PDH courses are the best professional development hours for engineering continuing education. Thousands of PE Engineers and other professionals have used our courses for their PDH or CE continuing education courses. How to take Continuing Education? 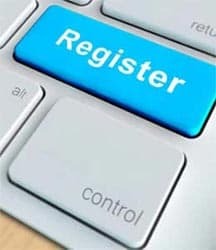 Register First and log into your account. After you are logged in, find the course, study, and take the quiz for FREE until passed. After passing the quiz follow the page, pay for the course and print your certificate. Get started by clicking here to register or log into your account first. Almost all States have made it mandatory for licensed professionals to take continuing education courses as one of the requirements for renewing their license. Some State Boards call these courses Professional Development Hours or PDH courses. Some State Boards refer to them as Continuing Education courses or CE courses. For example, State Boards of Engineers call their courses engineering PDH courses. State Boards of Contractors call them Contractors CE courses. There is no difference between PDH and CE. It is more of a preference of word or phrase. All PDH and CE hours require a minimum of 50 minutes of studying time. Why take Continuing Education Courses? In order to protect Health, Safety and Welfare (HSW) of their citizens, many States have regulated certain industries or Professions to be licensed before offering their services to the public. As part of regulation and maintaining a license, many States have made it mandatory for the licensees to take Professional Development Hour (PDH) or Continuing Education (CE) courses to stay on top of their profession in order to renew their license. These short courses are called continuing education courses. Each State has its own rule as to how many of these PDH or CE courses need to be taken by the licensees annually or biannually in order to renew their license. How are we offering Continuing Education Courses? When it comes to Engineering continuing education, we are the only one-stop shop in the industry. We make and create all of our PDH and CE courses under one roof. The following are different ways that we provide PDH or CE courses, seminars and webinars. All PDH or CE courses have been prepared under one roof. We try to cover subjects from A-Z when it comes to PDH and CE courses. We offer our PDH and CE courses in various ways to meet our customers' demands. CD/DVD PDH or CE courses. Live Webinar PDH and CE courses. Streamed on-Demand PDH and CE webinars. With over 5000 hrs. of practical online PDH and CE courses, DiscountPDH is the leader in online continuing education among the PE Engineers and other registered professionals. Our online PDH and CE courses also satisfy the continuing education requirements for licensed and registered architects, land surveyors, geologists, contractors, landscape architects and interior designers. Our online PDH and CE Continuing education courses are easy to access and easy to use. DiscountPDH.com is the best and most practical source for busy contractors to meet their CE Contractors continuing education requirements. All of our online CE courses for contractors meet the requirements of the contractors licensing board of all the States that do not require pre-approval. Soon we will get our approval from a few other States, such as Florida, Wisconsin and Oregon that require pre-approval. 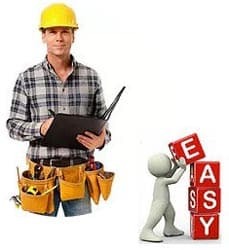 Our collection of online CE courses for general contractors, residential contractors and commercial contractors is the most practical and user-friendly in the online CE Contractors industry. DiscountPDH online CE courses for Contractors help the licensed Contractors to meet their CE continuing education requirements with their contracting Licensing State Board. Our variety of CE Contractors courses help the residential contractors, as well as commercial contractors to meet all their CE contractors requirements. All of our online CE contractors courses are technical in nature and address a variety of CE continuing education topics. Our CE contractors’ courses cover topics from business management and contract negotiation to professional ethics, quality assurance, codes or similar topics that help the contractors with their professional development. Our online CE courses for contractors serve to safeguard Health, Safety and Welfare (HSW) of the citizens. Our online CE or PDH courses for contractors help the licensed contractors to meet their CE contractors continuing education requirements and renew their license with confidence. With 18 CD/DVD and a total of 560 hrs. of PDH or CE continuing education, DiscountPDH has the highest number of engineering continuing education study-at-home courses in the industry. For Engineers who like to walk the talk in the courtroom, our collection of Forensic Engineering courses is unmatched. We are the only continuing education course provider in the field of PE engineering that has been providing reliable and relevant live PDH and CE seminars since 2003. Our seminars are a combination of video and CD. We try to make our live PDH engineering continuing education as entertaining and informative as possible. DiscountPDH presents the most informative webinars in the field of engineering continuing education. We have live PDH webinars as well as On-Demand PDH webinars. Our On-Demand streamed pre-recorded webinars are suitable for PE engineers whose State Board simply requires time-verified hours spent for study, such as Ohio, Illinois and Nebraska. We also have scheduled live PDH or CE webinars that we broadcast on a regular basis every Friday afternoon. Our Live PDH webinars are suited for States that require live PDH webinars or PDH seminars such as, New York, Iowa, Ohio, Wisconsin, Illinois, and Nebraska. Check our Calendar for PDH Webinars for PE Engineers in Friday afternoons. DiscountPDH has collection of the most comprehensive PDH and CE courses for Licensed Land Surveyors. Our land surveying courses are simply second to none. For land surveying Ethics PDH or CE course, the General Ethics and standards for Professional Engineers and Land Surveyors 3 PDH is a recommended choice. Registered Architects can enjoy our easy-access online PDH and CE courses. All of our RA Registered Architects online CE courses, as well as science-related PDH and CE webinars are designed to improve architectural skills and knowledge and meet the (HSW) standard to safeguard the Health, Safety and Welfare of the citizens. DiscountPDH boasts the variety of continuing education CE or PDH courses that can be used as continuing education by licensed PG Professional Geologists. The PG Professional Geologists can use our online PDH courses as well as webinar PDH courses in science-related subjects to renew their PG Professional license. All of our PG Professional Geologist CE Courses improve and expand knowledge in Geology and safeguard the Health, Safety and Welfare (HSW) of the citizens. Our landscape architect online CE courses help the licensed Landscape Architects to meet their CE requirements and renew their licenses. All of our landscape architect CE courses directly or indirectly improve and expand landscape architect’s knowledge in landscape architecture. DiscountPDH Home and Building Inspectors courses are the best in the business. They comprise some of the online PDH and CE courses from different related industries to this group of online PDH and CE courses. Our online CE courses for Home and Building Inspectors are informative as well as educational. All of our online PDH or CE courses or CE and PDH webinars are also informative and educational. Our online PDH courses as well as Online CE courses and webinars meet the standard to safeguard the Health, Safety and Welfare (HSW) of the citizens. DiscountPDH online CE courses helps the licensed Interior Designers to meet their CE requirement to renew their license. Our online CE courses are helpful in the technical areas of interior design rather than the artistic area. Our website is easy to maneuver and easy to access and allows customers to review all the online CE courses before attempting the quiz and purchasing the CE course. DiscountPDH.com is one of the oldest and most popular, credible and trusted online companies in Engineering Continuing Education. We offer Online PDH and CE Continuing Education courses for Professional Engineers along with Land Surveyors, Architects, Contractors and other professionals. All Online PDH Courses are written by Licensed PE Professional Engineers and scientists. Course materials are prepared in accordance with all State Boards licensing rules and requirements. Majority of the courses are developed by us. That is the reason we can keep the cost down and pass on the savings to you. We have over 5000 hours of PDH and CE continuing engineering courses. We pride ourselves with the fact that most of our new business comes from word of mouth or recommendations of other professionals. We strive to find the latest updates, most interesting and most practical PDH and CE courses for our clients to renew their PE license. They are also in accordance with various State Boards requirements and rules. Our PDH courses are reviewed and updated on regular basis to meet your State Boards PDH requirements. We started providing PE PDH engineering continuing education in 2003 in the form of CD and DVD. At the same time, we also offered live PDH seminars for PE Professional Engineers in Texas, Louisiana, New York and a few other States. This service helps them to renew their PE Professional Engineers License. It also helps them to meet their PDH or CE continuing Education requirements as demanded by their State Board of Engineers in each State. We provide 100% money back guarantee in the event that your Board does not approve our course. You can ask us for a refund. Our website in 2003 was known as PEPDH.com. In 2006 it was changed to DiscountPDH.com. Then we started offering online PDH, CD PDH, DVD PDH and Live PDH seminars for PE Professional Engineers, among other Professionals. Other professionals included RA Architects, Land Surveyors and Contractors. Our service helps them to renew their PE and RA license with their State Board of Engineers or State Board of Architects. We are the leader in PDH and CE continuing education for PE Engineers and RA Architects. Our Live PDH seminars and selection of PDH Webinars are simply second to none. We are the only one that has provided Live PDH Seminars or Live CE Seminars for PE Professional Engineers to renew their PE license consistently since 2003. DiscountPDH offers Online CE Courses and PDH Courses for Engineers. We offer Live PDH Webinars for PE Engineers and RA Architects. We also offer Streamed PDH Webinars for PE Professional Engineers. We provide CD and DVD for Engineering PDH. Our PDH and CE courses are designed to satisfy CE continuing education requirement mandated by different State Boards of Engineers, Architects and Contractors. Our PDH Courses are hassle free. You can take the course quiz for an unlimited amount of times until you pass. We provide a Free PDH Course. It is 2 PDH and has a value of $24. With the help of this free PDH course you can check how our system works. We grade your PDH quizzes before you even pay! You can print your PDH certificate instantly after payment. This will help those PE engineers who need to buy their Online PDH/CE Courses at the last minute for their PE license renewal. Your certificates are always saved in your account and can be accessed anytime, from anywhere. Why wait? Thousands of professionals signed up and finished their license renewal quickly and efficiently. Our online PDH courses for engineers or CE courses for engineers are in compliance with the National Council of Examiners for Engineering and Surveying (NCEES) Guidelines and all State Boards of Professional Engineers and Land Surveyors. They have been accepted by all the State Board of Engineers Nationwide and all the States that need pre-approval for providing online PDH courses, live PDH webinars and live PDH seminars to Professional Engineers to meet their PDH continuing education requirement. Once you have simply signed up, all the courses and certificates will be conveniently ready at your fingertips!